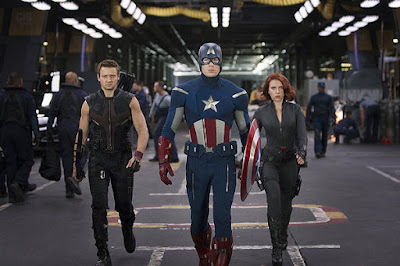 Somewhere in the middle of “The Avengers” there is a grand action sequences where the Earth's (or at least Marvel's) greatest superheroes band together to fight a bunch of aliens coming out of a wormhole in the sky. Once the fight starts it never slows down. Characters punch, fly, and smash these faceless creators in a sensory overload of visuals and sound effects. 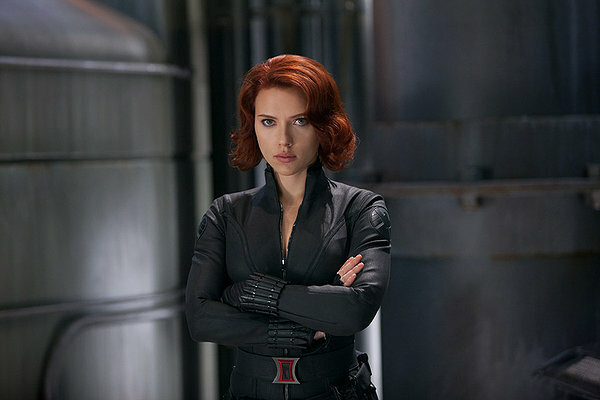 After over thirty minutes of this, Black Widow (Scarlett Johansson) says to Captain America (Chris Evans) that “what we do will be pointless if we don't close that portal.” In another film I might have had reservations with this line coming so late into the game, but it was a good example of a movie knowing what its audience wants and how to sell it well. At this point the movie has had epic action sequences that were thrilling and breathtaking to watch. At the time when this could start to outstay its welcome, the characters personalities come through to inject some life into the film. I laughed at the line because it was funny and true. Then I wondered if it was any coincidence that the only female member of The Avengers was the one who pointed this out to all the brawny men. Considering the film was directed by Joss Whedon - who specializes in fun action, witty dialog, and strong female protagonists – I knew this was no accident (though I wondered if I was the only one who'd pick this up). Whedon of course had a difficult task of bringing characters from five previous films together into one film and weaving a narrative around them. He had to make “The Avengers” something worth caring about, but he also knew the fans would like to see a lot of action. He does this by first having The Avengers fight each other and then band together to fight the bad guys (all few hundred of them). Really, there's so much action you'd think Michael Bay might have directed this. Unlike the Transformer films though, this movie has something that makes two hours of non-stop action work: Personality. If there's one area where “The Avengers” succeeds, it's that the characters all have great personalities that play off each other well. 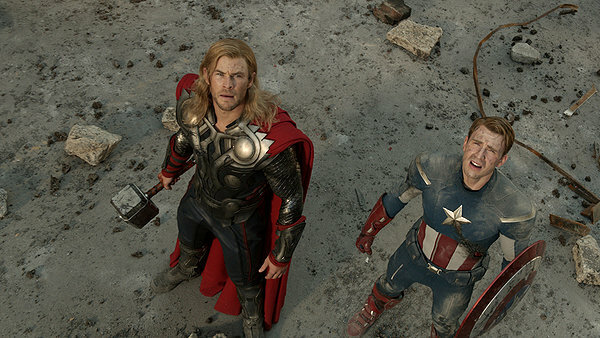 You have Captain America and Thor (Chris Hemsworth), both men who were leaders in their time and fight over who's going to lead the team. You have Iron Man (Robert Downey, Jr.) who is a cocky millionaire who seems to be playing the superhero game because he finds it fun and tends to taunt…well, pretty much everyone. 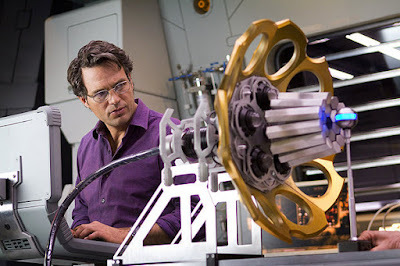 And Bruce Banner (Mark Ruffalo)…why, he just wants to live in peace and avoid getting mad and turning into a giant green booger. They are assembled by Nick Fury (Samuel L. Jackson), who is out to save the world from Loki (Tom Hiddleston), who has recently obtained limitless power and plans to use it to (you guessed it) take over the world…or, maybe he just has a point to prove to his big brother Thor. It's hard to tell sometimes. Actually, now that I think about it, considering the whole point of “The Avengers” was to sell extreme action to teenagers, it strikes me as a brave move that Loki was chosen as the films villain. 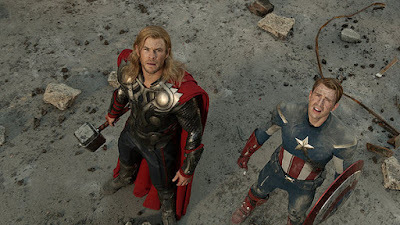 You may remember in my review of “Thor” I praised him as the best character for being complicated and three dimensional. I'm not sure if his motivations here are as complicated as in that film, but it says a lot that since he isn't very strong, he uses his smarts and cunning nature against The Avengers and actually proves to be a valuable threat to some pretty strong opponents that way. Had a protagonist been chosen based on his size and strength, I think the conflict would have felt more routine and less inspired. 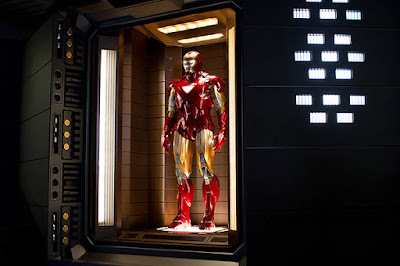 Likewise, though the film is being sold as a group film (and thus there is no “star” in this film), the movie still belongs to Robert Downey, Jr., whose Tony Stark is still the most wildly entertaining superhero on the market based on his ego and witty dialog. Considering Whedon likes to write witty dialog (as mentioned before), it should come as no surprise that Downey gets the best lines in this film. “The Avengers” isn't revolutionary entertainment by any means, but it gives the fans what they want and manages to give it to them well. 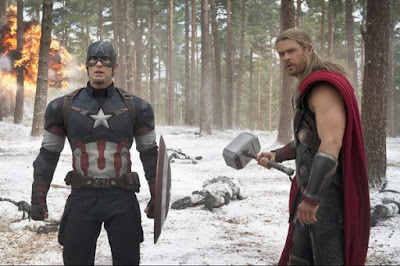 Though the action is non-stop and goes on for a long time, unlike last summers “Transformers: Dark of the Moon” I never found myself bored with “The Avengers.” Maybe if Transformers had characters with more personality like this movie does, I might have enjoyed that film a lot more. It just goes to show that any concept, regardless how stupid, can be fun if made by the right people. 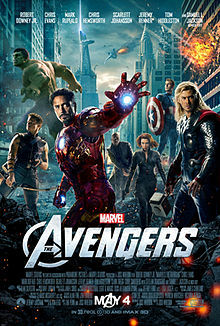 “The Avengers” is not the greatest superhero film ever, but it just might be one of the more fun ones I've seen in my years. Though with the promise of a sequel in a few years, hopefully the film makers will resist the urge to make it longer than two hours, because a little Hulk certainly goes a long way.